Perfect Meshing, Perfect Tracking - BRECOflex Co.
BRECOflex Co.,L.L.C. 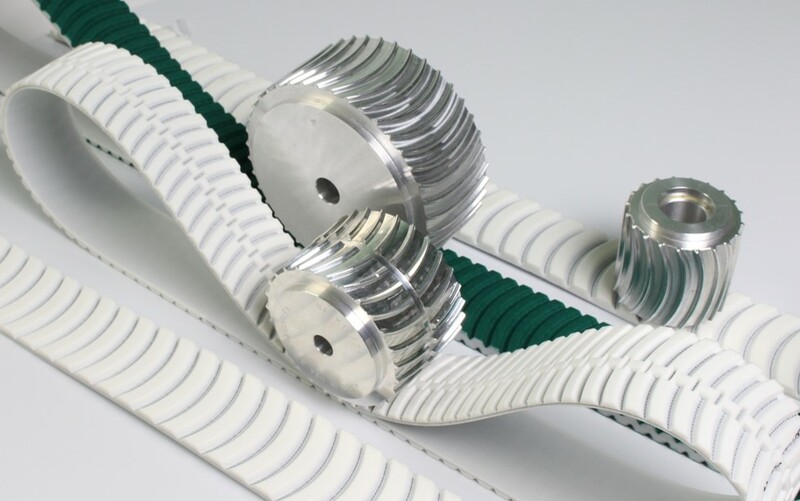 the market leader in the polyurethane timing belt industry offers timing belts and pulleys as a single source vendor. gaps as well as a most correct pitch diameter. Zero Backlash “0” Tooth Gap. engineering support recommending i.e. the most appropriate tooth gap version. come in two (2) sizes, 6 mm wide and 13 mm wide. undiminished belt flexibility for small pulley diameters. Solid tracking guides are weld-on tracking guides. perfect shaft alignment is recommended.